Everyone suffers disappointment, rejection, injustices, and losses, perhaps even traumatic ones. The spiritual pain born of such suffering can paralyze us, leaving us broken inside and barely getting by with the motions of life. Whether we remain stuck or move forward is determined in large part by our resilience. 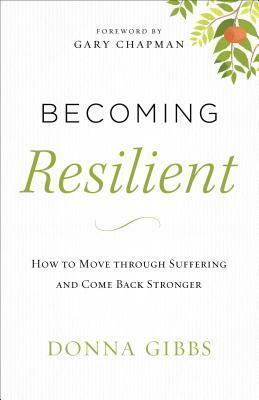 Concise and compassionate, Becoming Resilient takes our most common question when tragedy strikes--Why?--and replaces it with the healthier, more productive question, What next? 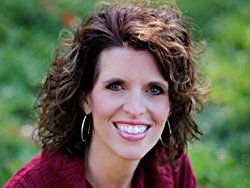 A professional Christian counselor for 20 years, author Donna Gibbs draws on her experience helping clients get unstuck, sharing secrets for building resilience that will change readers' experience of suffering. She offers practical tools and effective coping strategies to deal with whatever life throws their way so they can move through suffering--and come out stronger on the other side. In this day and age, it seems that you can purchase so many books on suffering and self-help, or how to become more resilient as a person, but nothing in my opinion, quite touches the subject as counselor, Donna Gibbs does. I think I connected with this book so well because of my license and degree in social work. I connected with the author and the approach in which she wrote this book and the way she tells of deep pain and suffering. More importantly, I found how she approaches the question we all want to ask "Why?" and that rather than asking that, we should stop asking that question because it just gets us stuck there. Suffering happens and it is part of the life that happens when we follow Christ. He never promised us an easy life, but he promised that we would have a great life with him. Instead of being stuck in the why, we need to look to God and then also look for ways to cope. I just love the biblical illustrations she includes and again, her own personal stories of suffering. This is a great book and one I can't say such good enough things about! I highly recommend this book to every single Christian! I give this book 5/5 stars. Donna graduated from North Carolina State University in 1993 with a BA in Psychology. 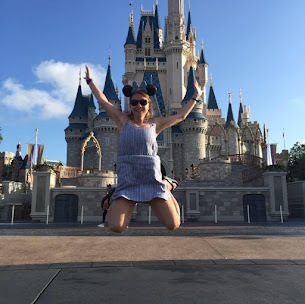 She has post-graduate training in the specialization of School Psychology and an MS in Community Counseling which she earned in 1997 from Western Carolina University. She earned a Ph. D. in Christian Counseling and Psychology from Louisiana Baptist University in 2007. She is a Licensed Professional Counselor Supervisor, a National Certified Counselor, and a Board Certified Professional Christian Counselor. She is on the professional referral networks for Focus on the Family and Crisis Care Network. She is also a member of the American Association of Christian Counselors (AACC), and on the professional blogging team for the AACC.